Australian Dream Weddings - Wedding Options Australian Dream Weddings specialises in assisting couples from all over the world, dreaming of a romantic, unique and beautiful wedding in Australia. 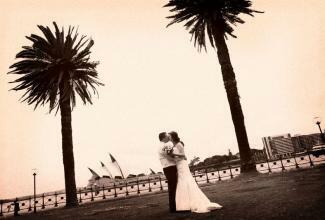 An Australian Dream Wedding wouldn't be complete without some of our specially designed wedding options. Spoil yourself with our wonderful array of choices, including professional hair and makeup, upgradable bouquets and flowers, stretch Rolls Royces, Jaguars and Mercedes limousines, classic and vintage cars and horse-drawn carriages. For this once-in-a-lifetime memory we highly recommend our professional photographers' superb quality photo options. We use only the best trained, qualified and approved wedding visualists and we offer an array of photography packages to suit your needs. Our prices are designed to suit your budget and preference and many of our couples express their amazement at the value and quality they receive. Our wedding DVD's are a must for couples wishing to capture the visual and audio moments of this special day. Filmed with the best pro-cameras by our professional cameramen, you have several choices, including highlights in an MTV-style music DVD with your choice of music. Our prices are designed to suit your budget and preference and many of our couples express their amazement at the value and quality they receive. You'll want to look absolutely stunning on your wedding day and for this reason we offer you our professional hair and make up services. 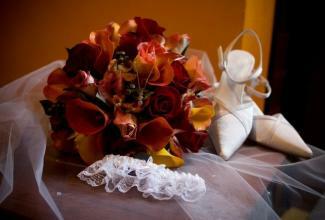 Our trained professionals will make you look and feel like a Princess on your wedding day. Your wedding package includes a late model, modern wedding sedan. 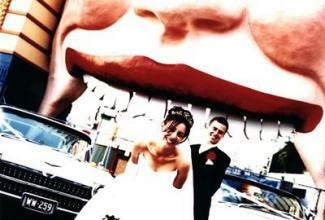 Your wedding transport is chauffeur-driven, with wedding ribbons and red carpet. Alternatively, we also offer a range of other wedding transport options to suit all tastes and whims. Your wedding package includes a beautiful fresh medium-size hand tied posy bouquet of seasonal flowers in your choice of colours for the bride and a fresh flower buttonniere for the groom. We can also accommodate any special requests or you can upgrade to a bouquet of your choice. 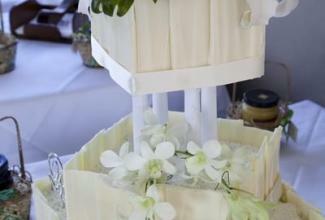 Your wedding cake is large enough for two to eight people and is included in all of our wedding packages. We can also create your dream wedding cake so please contact us for a quote. We include traditional Bridal music in all of our wedding packages to set the mood for your wedding, or you can bring your own special music to play as you walk down the 'aisle'. We can also offer you a choice of 'live' musicians playing in a string trio or quartet, or a harpist to enhance your very special day.